Mega Power Star Ram Charan and Young Tiger NTR's larger than life cinema RRR is in a swift pace of its shoot now. Currently, a pivotal action sequence is being shot on Ram Charan and 1000 junior artists. Needless to say, it's being shaped up as a jaw dropping scene of the film. 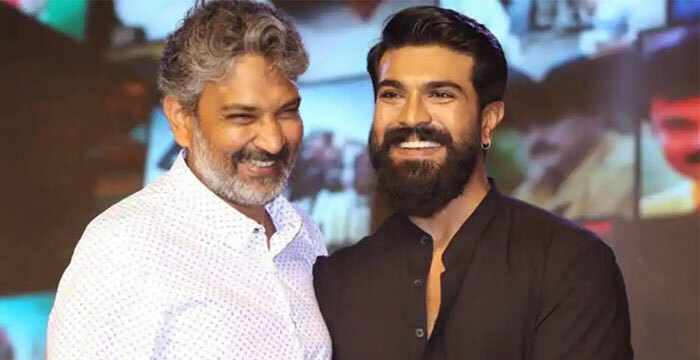 Also, Rajamouli appeared to have been using Ram Charan's star power and mass attracting histrionics sensibly in portraying such eye candy action sequences. NTR on the other hand, has taken a break from shoot as the script doesn't demand his role in the current action sequence. RRR is being produced by DVV Danayya on DVV Entertainments. Keeravani is composing music. The movie has Alia Bhatt in one of the lady lead roles. The movie is slated for release during summer, 2020.